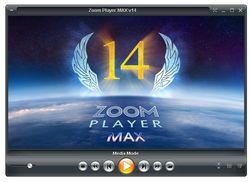 Zoom Player Windows PC ve tabletler için en esnek ve en gelişmiş medya oynatıcısıdır. 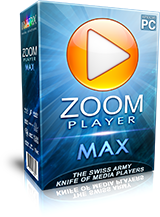 Zoom Player Windows PC ve tabletler için en esnek ve en gelişmiş medya oynatıcısıdır. Yüksek seviyede Smart Play teknolojimiz ve Tam ekran Gezinme arayüzüyle donatılmış olup, tereddütsüz pek çok formatı çalıştırır ve gelişmiş stabilite ve mükemmel performans sağlar. İçerik ararken fare, klavye ve Touch girişi ile rahatça işlem yapılabilmektedir. Zoom Player'in klasik medya oynatıcıssı görnümüne sahiptir ve güçlü Media Center özelliklerini barındırır ve sezgisel tam ekran gezinme arayüzüne sahiptir. I have v. 13 installed, from a previous giveaway. Also have a handful of other players -- because just one of several categories of apps is not sufficient for handling the variety of sources that are out there. (Not a single web browser, a single ____ editor, etc. Inevitably, one will handle something that the others don't. You need to be able to do cross-checks, when something fails to do the job. Are those subtitles actually there or not ? That sort of thing.) The one I reach for first is generally VLC. While I thought it was useful to have Zoom Player in the mix, I found its user interface to be overly complex and cumbersome, relative to various other players. Spent too much time looking for the right controls to operate its functions. (Potplayer was the runner up, suffering from those same issues.) I'd say a major, straightforward simplification redesign of the UI is in order. But that's just my impression. All those useless features numerated and bragged about are just that, useless, this player can not even make a single recording of any of the songs you hear. 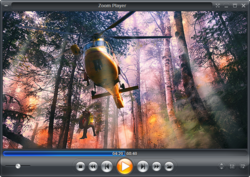 Get VLC free and enjoy it, it has all those features and can record anything with just a single click of everything you hear or see. Forgot to add this. Don't try to update Zoom Player when you first run the setup. If you do they'll want you to pay for it. Uncheck the Zoom Player update box in the setup. Everything else is okay to install. Good luck. Although I have had this on my system for a long time now, I rarely find a need to use it. VLC, kodi and the K-Lite codec mega pack takes care of 99.9% of my media needs, with both players also being available across a range of OS platforms. Inmatrix should provide a side by side list of features against that of the main competition (especially the free varieties) to persuade people to part with money that they otherwise cannot see a reason for. Although I have had this on my system for a long time now, I rarely find a need to use it. VLC, kodi and the K-Lite codec mega pack takes care of 99.9% of my media needs, with both players also being available across a range of OS platforms. Inmatrix should provide a side by side list of features against that of the main competition (especially the free varieties) to persuade people to part with money that they otherwise cannot see a reason for.